Honda Generator EB3000c with Honda GX200 engine delivers 3,000 watts of power for great performance in commercial settings. CycloConverter™ technology reduces the weight of this compact generator to just 71 pounds, while a three-year warranty covers the EB3000c for years to come. 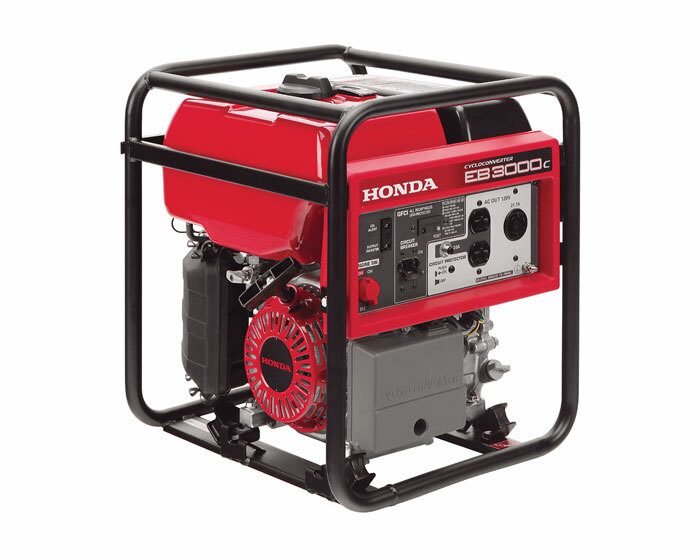 * Honda’s lightest industrial generator – just 71 lbs. * Ideal for powering air compressors, bench grinders, circular saws, concrete vibrators, drills, etc.